There has been a lot of talk recently on a draft law that would extend the parliament’s mandate six more months so that the lawmakers can reach an agreement on an electoral law. Some reports even suggested it might be two years instead of six months. And that means a lot. Wages. Yes, we tend to forget that quite often, but a Member of the Parliament gets paid 7333$/Month (It actually gets higher with the new raise of 2012 and with the special allowances). That means that in six months, we are paying the lawmakers 7333×6×128 which is equivalent to 5.63 Million Dollars. So just in case the parliament’s mandate gets extended for the purpose of an electoral law, that law will cost 5.63 Million Dollars. And It’s not about paying wages to lawmakers. If we have elections, the 2013 MPs will get the wages instead of the 2009 ones anyway, and even the MPs that won’t be here in the 2013 parliament will still get at least 55% of their MP wage. What is frustrating is that people who were elected to work and get paid for 4 years, will now work and get paid for an extra time, while theoretically, they shouldn’t. If They wanted a law they would have agreed on one. It doesn’t take that much to agree on an electoral law. All the political parties know that they need each other, and they all know that such a delicate law can not be but a consensual one. That law will shape Lebanon’s political future for the next decade, and everyone is well aware of that. Every draft law that makes the opponent angry isn’t but a political manoeuver. Every added draft law isn’t but a waste of time. In 2011, it took us 7 Months to form a government. That could’ve been done in one week. Same thing applies here. It takes 48 hours to agree on a consensual law, and it’s obvious by now that’s it’s a hybrid one. All that needs to be done is drawing the constituencies’ boundaries and agreeing on the proportion of MPs elected by proportional representation. That can be done in 72 hours of hard work, if there’s a sincere intention to find a new law. The last time we had an electoral law, it was after a mini civil-war followed by an agreement that was held under an international umbrella in a foreign capital. If they can’t agree on a law now, what’s the guarantee that they will agree on one in the next 6 months? Qui veut, peut. The Parliament’s Failure. 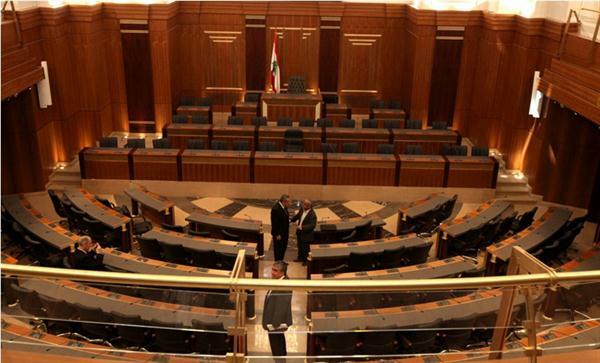 The parliament barely meets and discusses laws and hasn’t passed one state budget since 2005. The Lebanese parliamentarians and politicians haven’t been discussing anything but electoral law for the past months and are still failing to agree on a particular law. The parliament failed. In a normal country, when a PM fails to achieve what he was supposed to do, he resigns and lets another person try. But Lebanon has to be an exception: The Lebanese parliament failed, but its mandate gets to be extended. Yes, the 2008 law will highly bring back the exact same people again (literally exact, probably around 110 of the current 128 MPs), but at least they would have to do it the hard way to keep their seats. At least the Lebanese would choose what MPs would get paid by his taxes. Let the new parliament decide on the law, form an independent government to organize elections according to the new law and then dissolve itself (Or via the parliament and the government, according to article 55 of the constitution). That’s if they have sincere feelings about preserving democracy and really don’t have time to agree on a law. The parliament might have the power to extend its mandate. For the first time since the Middle Ages a Pope resigns while in Lebanon, we still speak of extending a mandate. We are not 1941, 1976, 1980, 1984, 1988 or 2004. We are not in a civil war, or under Syrian, Israeli or French occupation. There’s a de facto electoral law, and unless there’s an alternative to it, it should be respected. Especially by the people who wrote it. Posted in Lebanese Parliament, Lebanese Politics, Parliamentary Elections, Politics on March 13, 2013 by Ramez Dagher.